A new truck has joined the Virginia Varsity fleet, just in time for our summer season. The new truck is 21’ feet long - a little shorter than our typical 26’ trucks. This truck is ideal for getting in and out of the steep driveways we have in the Roanoke Valley. It also has a lift gate, making it ideal for moving extra-large gun safes and pianos. The new truck will be numbered VVT 221 and just received its decals from a local Roanoke sign factory. It will stand out from the rest of our fleet by keeping its white exterior and having the traditional VVT logo instead of the blue truck and white logo exterior that the majority of our fleet displays. If you see this truck around town, give it a hello! 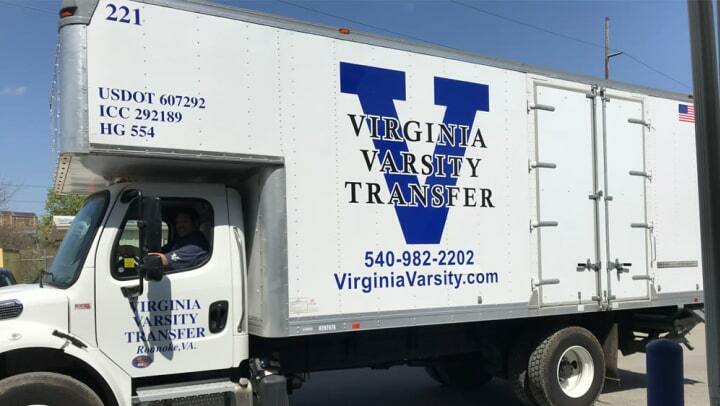 Virginia Varsity now has 10 trucks as part of its fleet.